(Newser) – It might have just gotten a little tougher for the US military to keep an eye on al-Shabab, the terrorist group behind the mall attack in Nairobi. 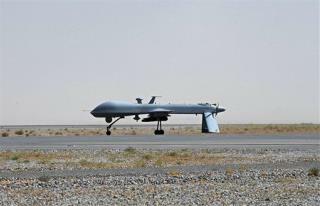 The African nation of Djibouti has forced the US to remove a fleet of drones from a major military camp in the country, reports the Washington Post. The reason is a little unusual: The camp shares a runway with the country's main airport, and the drones have been involved in a series of accidents. At least five from Camp Lemonnier have crashed since January 2011. The US built a Tzar bomb after Russia detonated one in Novaya Zemlya . They should wipe off the dust and detonate it over Mogadishu. That's what you get when you're playing a video game.